Whenever someone asks me how I feel about making striped bass a gamefish in Maryland, my answer is always the same – they already are. 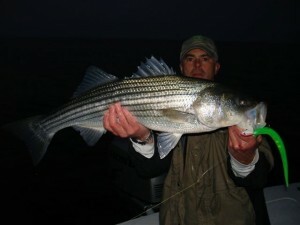 Light tackle anglers fish for striped bass almost the same as we would for black bass, trout, crappie, or walleye. Most of us use the same equipment. The only real difference I can see is that a few influential people in the mid-Atlantic find it profitable to commercially harvest stripers. I never heard of striped bass on a restaurant menu until I moved to Maryland. In fact, people in other parts of the country don’t consider them particularly good to eat. I cook them occasionally, but is any fish tasty enough to deserve all the controversy that surrounds striped bass? The biggest thing they have going for them is that they’re fun to catch and they’re pursued by more recreational anglers than any other species. In my book, that spells gamefish. Last week the Atlantic States Marine Fisheries Commission (ASMFC) voted down several amendments which would have increased the commercial harvest of striped bass. Maryland voted for no increase. That’s a positive sign from a state that traditionally harvests and sells more than its fair share, but it’s no reason to celebrate. Maintaining the status quo is just more bad news for the fish. 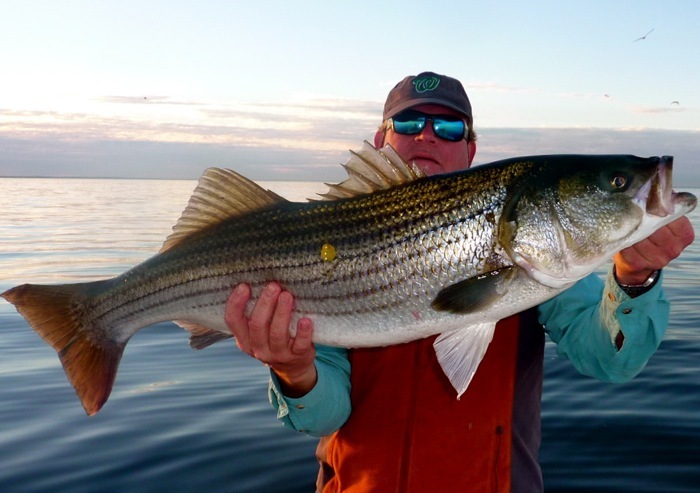 Don’t expect Maryland stripers to be officially recognized as gamefish anytime soon. Although our newly reelected governor has a pretty good track record on fisheries issues, his statements to the Baltimore Sun seem to indicate he doesn’t see the need. 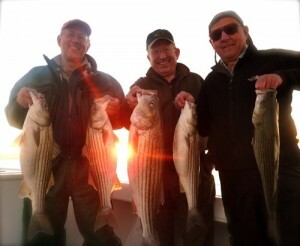 Equally as unfortunate is that many influential individuals and even some conservation groups see Maryland’s commercial striper fishery as a historic and romantic way of life warranting preservation. For the record, those people have never really been there. I’ve done my share of hard time working on the water, and I can tell you for certain that there is nothing romantic about the blood, gore, and slime involved in commercial fishing. I like seeing the old classic workboats out there as much as anyone, and I don’t mind some of my tax dollars going to preserve the waterman’s lifestyle. But since we’re subsidizing them anyway, why not pay them to do something beneficial on the Chesapeake, like say, help clean it up? That’s not to say we don’t have plenty of problems on the recreational side – almost too many to list. There’s the spring “trophy season” that routinely opens at the height of the Chesapeake striped bass migration and intercepts and kills thousands of fish before they have time to spawn. Then there’s the big money catch and kill tournaments with their stated goals of hanging pre-spawn cows up like dirty laundry on the scales at the docks. Throw in the hot months of summer when Maryland allows catch & release fishing using live or cut bait even though almost every deep-hooked fish will surely die. Then consider the rampant poaching from both the recreational and commercial sides. Taken all together it adds up to a recipe for disaster. This ASMFC decision amounts to a public acknowledgment that there are problems with the striper population. 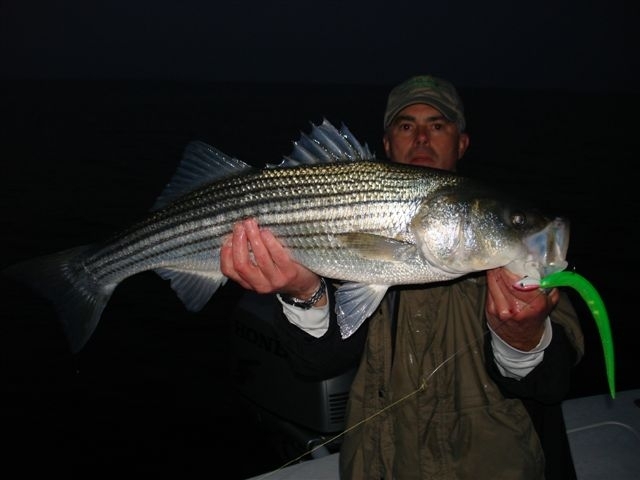 Concerned fishermen and conservationists from all over the east coast are calling for changes in the way we manage our striped bass fishery. The stakeholder scramble over allocation percentages has already begun. Every user group on the Chesapeake will be pointing bloody fingers in every direction but backwards. Whether you consider it fascinating or horrifying, there’s no denying that striper wars are intensifying on the home front. This week the Maryland Saltwater Sportsfishing Association (MSSA) posted a letter asking the governor to reduce commercial harvests. I won’t be surprised if it is followed by a proposal from the Maryland Charter Boat Association asking for restrictions on tournaments. Hot on their heels, the commercial fishing industry would like nothing better than to see a delay in the start of the trophy season. Even though I don’t expect fisheries managers to do much, here’s a clink of the glass with my light tackle friends to all three groups getting exactly what they want. I’d doubt any of the them would be happy with that outcome, but if all three proposals were adopted, the real winners would be our rockfish. Fortunately, there are still enough fish around so light tackle anglers can find respite on the water. Despite the dwindling stock, we are still seeing a nice fall run as hungry stripers from the Atlantic Ocean funnel into the Chesapeake Bay. I’ve managed to get out some mornings and a few evenings lately depending on my work schedule. Sometimes, I’ve had to fish at night. We kept fish one day, a donated trip with some guys who don’t get to fish very much, but otherwise it’s been all catch & release. Fishing has been good but there aren’t that many schools around. With tournaments slated for this weekend and people getting more and more desperate to find fish, most fishermen I know are justifiably tight-lipped about their hotspots. My strategy has been the same as in the past couple of reports. I’m running the deeper ledges near the mouths of the major rivers looking for big birds and big bait. I haven’t had to look far. Even a few gulls or gannets flying way up high will give away the bait. One bird plunging toward the water is reason enough to cruise over, shut down the engine and watch the fish finder for a while. Once I locate fish I start jigging six or seven inch hotrodded BKDs or other soft plastic baits. If the fish turn out to be 25 inches or better, I quickly move up to ten inch lures or larger. Water temperatures are holding in the low 50s and salinity is relatively high. Here’s a video montage of some recent pictures. I’ve released two fish over 40 inches long so far this fall and I expect the biggest stripers of the season to appear this weekend. Hold on! 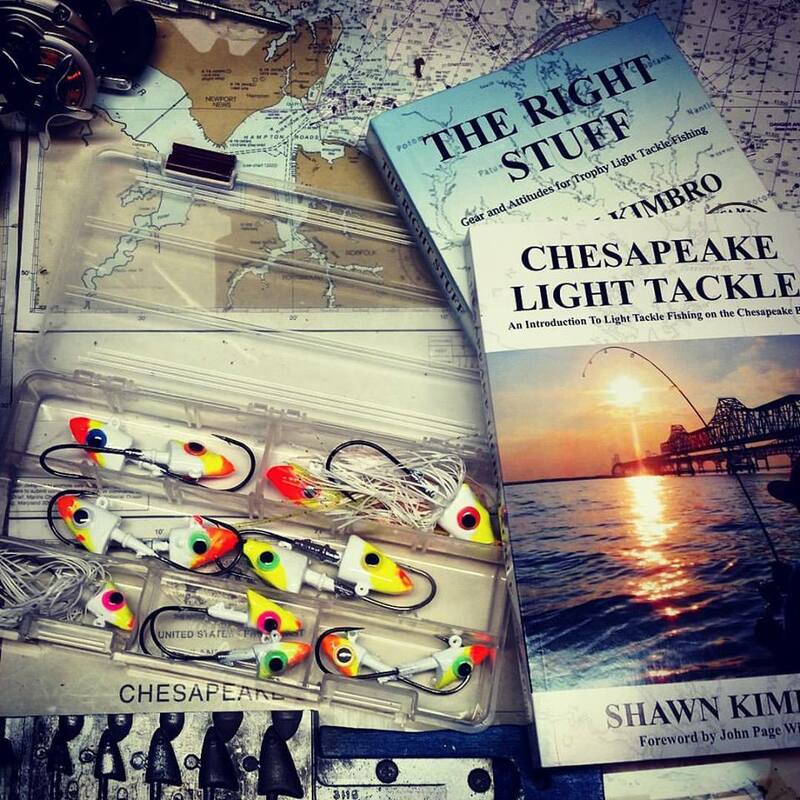 Great write-up Shawn..when I read about the catch + kill tournaments it makes no sense to have them…You’re right this is gonna be an ugly weekend…I hope you’re right and all 3 get their way…thanks for the article…be seeing you on the water soon! Excellent article Shawn. I wholeheartedly agree with you that everyone needs to concede something. They’re all pointing bloody fingers at everyone else – well said! And they can outlaw the tournaments as far as I’m concerned. Tournaments are definitely a double-edged sword. Ray Scott’s efforts with B.A.S.S and its respective tournaments have turned anything BUT the catch and release of large/smallmouth bass into a cardinal sin among freshwater fishermen. Granted, these bass aren’t considered table-worthy, but that wasn’t always the case. Innovations in live-well construction/design certainly help with regards to the survivability of caught-fish, and television coverage probably encourages fisheries maintenance on all levels. I don’t know if the same effect is achievable with striper, however. 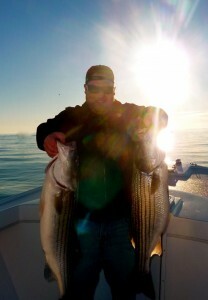 They bigger, migratory, and saltwater-based, but I think more exposure for stripers might actually help. Catch and kill tournaments aren’t the answer though…I dunno. Just a thought or two. Should be a fun winter! Love the video and the song is perfect. Keep fighting the good fight. I agree with you. I think what MSSA is asking for is a step in the right direction, but it doesn’t go far enough. In addition to pushing back opening day, stopping netting, and cutting out spring tournaments, they need to do something about these guys who think they’re fishermen because they reel in a few fish pulling three dozen lines. That’s about the same as netting to me. Very well said…as usual. Thanks! MSSA hasn’t thought it through. If Maryland doesn’t net those fish the ASMFC will just reallocate them to other states. 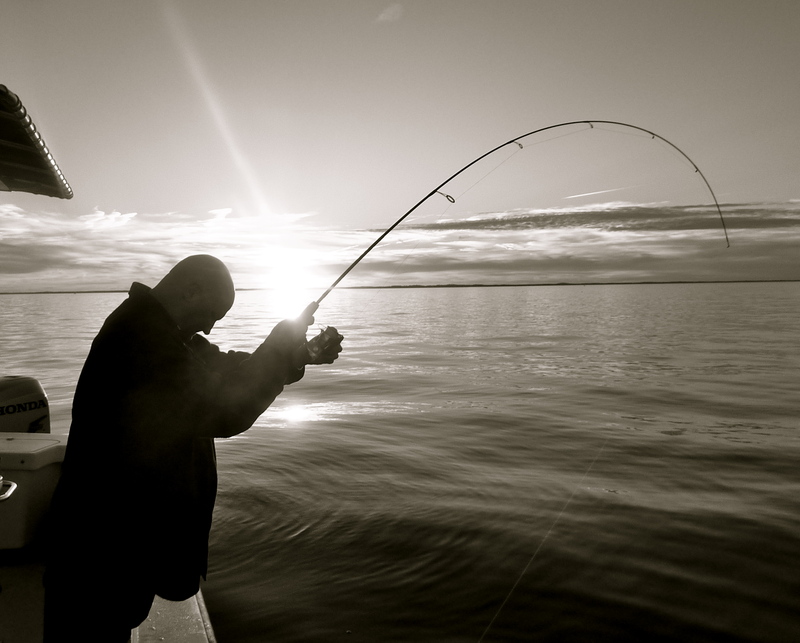 You guys lighten up on the trolling, everybody just go out there and catch them on light tackle. That comment was out of context – what we need to appreciate is that different folks want to do different things out on the water. Recreational fishermen can benefit from well-run conservation as much as the commercial watermen and the sooner that becomes the focus, the better. I think the trick is to understand the other points of view and do the right thing. Historically, the fishery has proven itself to be capable of supporting commercial and recreational use. And has proven itself of being over-used if not managed. Nice article Shawn & nice montage too. I liked Candy’s “crash test dummies” comment in her Baltimore Sun article. I thought I was taking it easy that day, but my fishing partners on Thunder Road know that when the motor starts it’s time to reel in, grab something, and hold on. On my boat kids call that part ‘the crazy ride’ and like it better than the fishing part. But then again, we’re not pulling in the 30″r’s! “He’s smart and funny and full of insight. If Fisheries Service officials are looking for folks to fill the three new seats on the Sport Fisheries Advisory Commission, they ought to consider Kimbro.”. I’m accustomed to seeing rockfish, crabs, and oyster on the menu and for many in this region, it’s their tradition and heritage, if not closest connection to actually enjoying the Bay they have (import and farm-raised substitutes noted). Late night with a bit of the bug in me but havent checked CLT in while. Great site and good articles (and photos) as usual Shawn! Your efforts are appreciated. Just wanted to repsond to Blue Marlin. (even though it is quite a bit after his comments and he may not see them). I believe the MSSA is asking for a “reallocation” to the rec side instead of just a reduced commercial take because of what you stated. The MSSA doesnt want to see the reduced take reallocated to other states. While the MSSA is not asking the DNR to liberalize or expand the recreational seasons, it stands to say that the MD rec fishery could use the allocation should they exceed the targets set for them. While the targets may not be exceeded, they have in the fairly recent past. Should the rec take show to not exceed targets over a period of time and reductions in harvest be shown not to be needed, then DNR can choose to expand seasons or liberlaize regulations to fill our quota. Unfortunately, I believe most are of the mindset that reductions in take are on the horizon and the MSSA call for reallocation is being proactive while also protecting the vastly stronger economical and social benefits of recreational fishing. I believe it may even stand to help some in the commercial fishing industry in the state by driving up the commericial prices of striped bass, which is but one of the commercially harvested species on the bay. I understand that there may be some legislation introduced this legislative session that may support the MSSA initiative. In regards to the opposition to tournament comments. I am a participant in the tournaments and think they are good for sport fishing. I certainly hope that some here recognize that their concerns are with fishery regulations and not tournaments themselves as those fishing tournaments are obligated abide by the fishery regulations set. In other words, those fishing a tournament have to follow the same rules as those not fishing a tournament. My comments are made as a MSSA member only. I do not speak for the organization itself. I mistyped. I meant to say everybody “can’t” just go out and catch them on light tackle. I do a lot more trolling than light tackle fishing, but I want to do more light tackle. I’d rather teach my kids to jig because there’s more action, less boredom. I always like Shawn’s reports when he shows 4 and 5 year olds jigging. I’m 40 and I can’t get it right! I agree with Greg S. on some things. He’s right that the MSSA tournament is following the regs. That’s why we need to change the regs so that nobody is killing the big pre-spawn cows. That means NOBODY, not the recs or the commercials. I doubt he will like that. The only reason the MSSA wants to restrict netting is because they think they might lose their spring tournament and the thousands of dollars they need for funding.